Being keen on live sporting events, we happily accepted an invitation to join friends to watch a rugby match at their local stadium. It was being played by the mighty Castres Olympique, who are League Champions of France no-less (champions of Top 14), against SCA Albi, a team from the second division, playing in a pre-season friendly – a local derby hosted by Lavaur, an amateur rugby side. 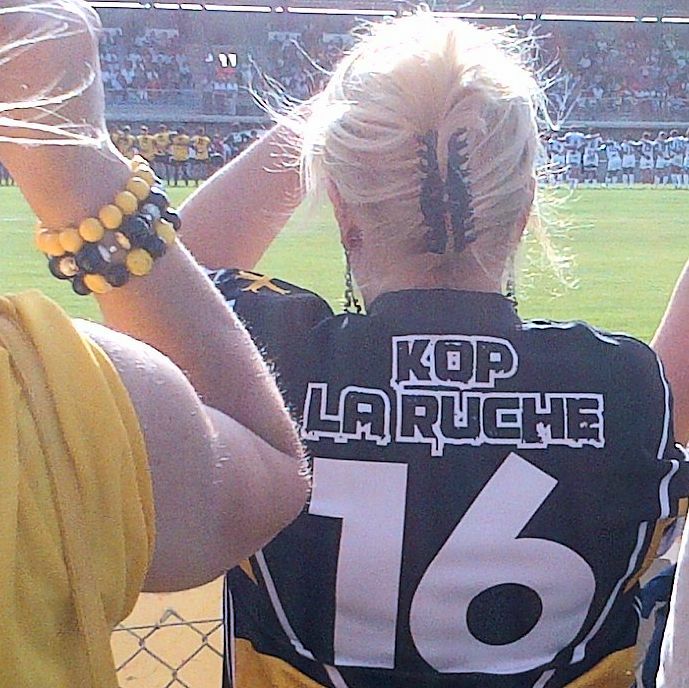 Albi rugby team play in a very fetching strip of yellow and black, and their fans are known collectively as KOP de la Ruche (the hive). Usually, when spectating at a sports event, we have a clear favourite team or individual, and we passionately cheer along our preferred choice, be it the Ashes, the FA Cup, the Ryder Cup, Wimbledon, the Six Nations and so on. 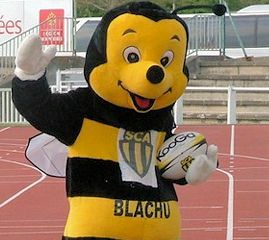 However, in club rugby union we are decidely fickle, and our loyaties are easily swayed, and have variously supported Munster (lent a shirt), Edinburgh (given a shirt), Harlequins (smashing post match party), Toulon (Jonny Wilkinson) and now, for one evening, we had become ardent Albi supporters. It all started well, and Albi were actually winning at half time. CO however dominated the second half and the match finished 26-19 in Castres’ favour. There was a superb festival atmosphere at the ground after the match – and we were invited to continue the party by our Castres supporting friends – perhaps now was a good time to change allegiance?